The zippers of your tent are as important as your tent itself. Fortunately, there are several tents that have durable zippers and that are available in the market. For instance, the best solo tent I have makes use of extra large #8 zippers. Unfortunately, some have zippers that are, by nature, very delicate and which quickly breaks because of rust, corrosion, or wrong movement. If this thing happens, do not panic because there are several ways on how to fix a tent zipper which I will explain and discuss further. As you read and come across each step, you will find out that these methods are very effective yet simple and easy-to-do. Just prepare the materials that we are going to share with you, and follow our step-by-step guide, and in an instant, you have a zipper that works like brand new. 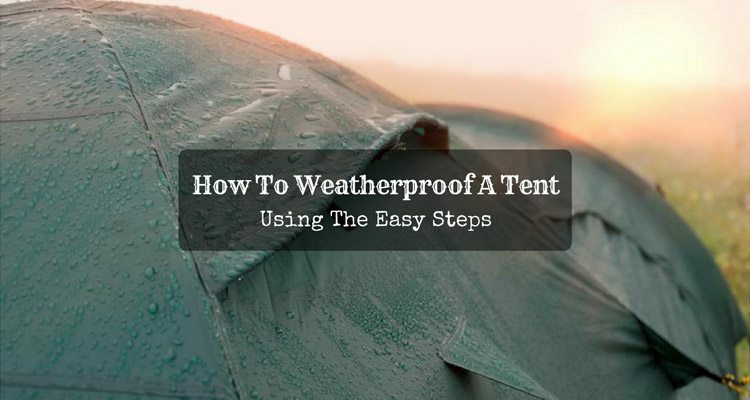 Apart from the quick and straightforward procedures that fixing a tent zipper require, this tutorial is also very convenient to implement because you will only need a few materials which usually come handy. If in case you do not have some of these materials, I have also included some alternatives to lessen the hassle of finding this stuff. So let’s begin! You will need this tool for putting the teeth back into place especially when any of the zipper's teeth stick out. If you do not have one, a good alternative would be a bi-scrip which others prefer because it gives better control. What we use is the Vise-Grip 10R Straight Jaw Locking Pliers. What we use is the Windex lubricant; however, there is really no specific brand of lubricant that you will need to have. It helps a lot to be resourceful and find which one works for your zipper. Some use candle wax, petroleum jelly, or a crayon. A bar of soap and a graphite pencil are perhaps the simplest, and therefore what we recommend for this tutorial. This set of materials include new sliders or new zipper, as the case may be. It is always important to repair the parts of your zipper whenever you can. At times, however, broken slider and zippers are inevitable. Hence, it is always important to have extra of these materials to be ready for unexpected issues with your zipper. If you need to replace your tent zipper, you may need to have a sewing machine. This tool adds protection and durability to your tent. There are several products available in the market. 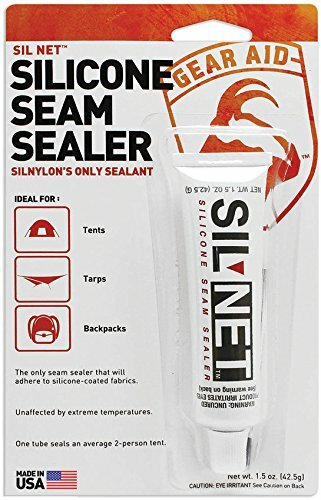 The one we use is Silnet Glue; however, as with the materials we previously mentioned, you need not look for a particular brand, but try to find one glue which works well for your zippers. One of the most common tent problems you may encounter is a zipper which separates behind its zipper slider. This problem is not only common among tents but also with luggage and backpacks as well. The good thing is that it is also one of the tent issues that is quick to fix. We say so because it will only require a very little effort and a few materials to repair it all by yourself. 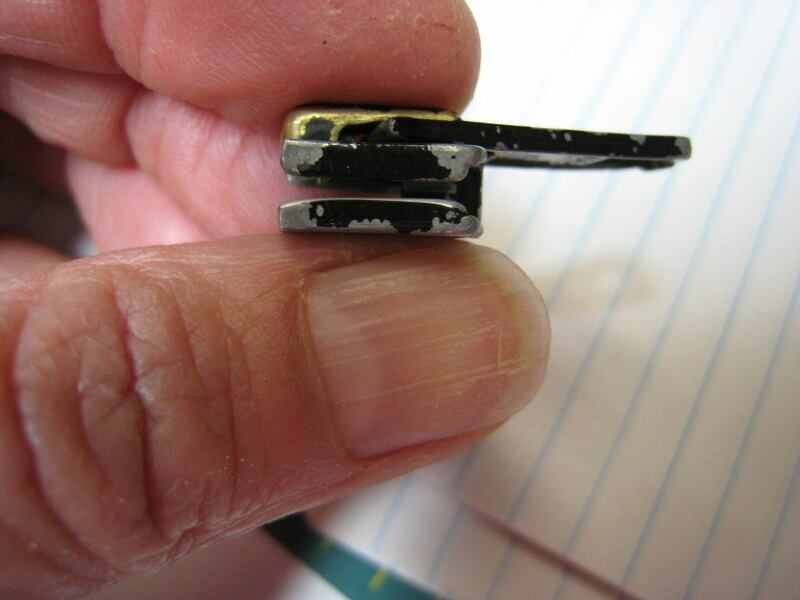 Oftentimes, you will only need a locking pliers to repair it by yourself. However, you also need to be extra careful especially when squeezing the top as well as the bottom plates of your zipper slider. 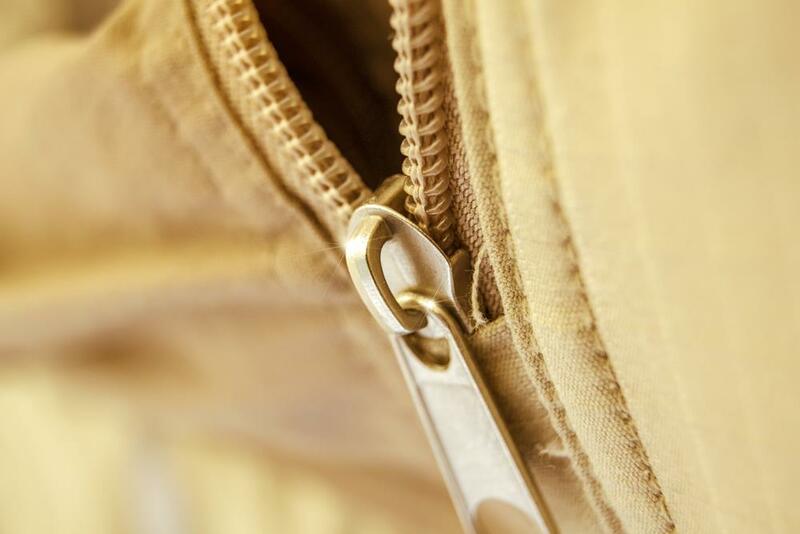 There are a variety of reasons why your zipper may not be working. Stuck zippers, broken slider, and teeth that won't clinch are only some of these common issues. To know which way to go or what remedy to apply, it is important to find out what is causing your zipper not to work the way it should be. If your zipper is stuck and does not come down, it is probably getting caught on something. Hence, you may need a material that will smooth out its teeth. A graphite pencil is a great way to start fixing your zipper. Grab one and rub the pencil tip on the zipper's teeth. Sometimes when this trick does not work, you may need to use a lubricant. One product which I find effective since it is not oil-based is the Windex lubricant. Alternatively, you can put some mild soap on a small plate. Add some water. Find a small piece of cloth and dip it on the plate. Apply it all the way up. If the teeth of your zipper are clean and straight, you may need to check the slider itself. 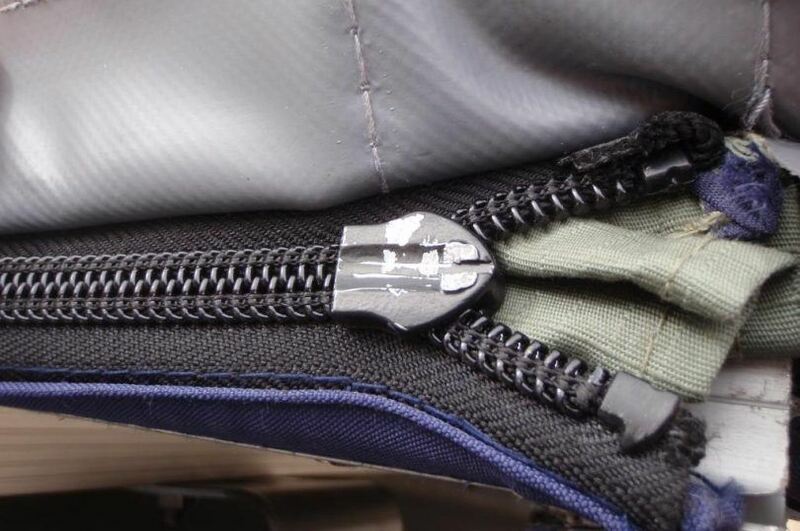 Over time, this zipper part may come apart and may cause it to stop clinching the tent's zipper teeth together. Occasionally, you may discover that your zipper or slider is not working properly because of a piece of thread or cloth that is stuck in the zipper. When this thing happens, the first important thing to remember is to be gentle. 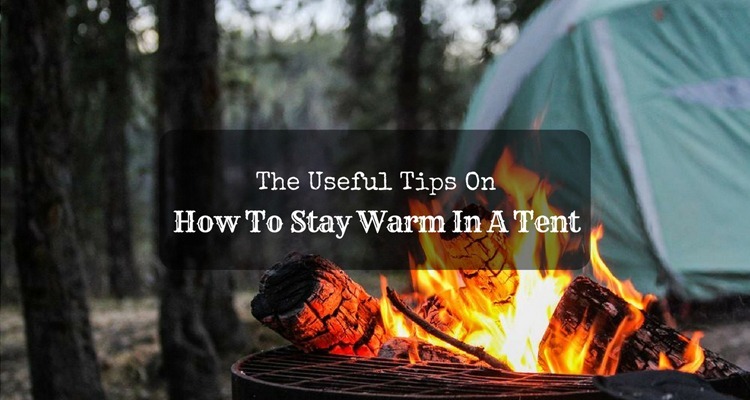 This tip is important because you do not want to ruin your tent by creating any tears or rips. Pull your zipper to the direction where it is going from where it is stuck, and pull the fabric in the opposite direction. This action makes it easier to get it out. However, you need to stop completely when you feel any resistance or ripping to avoid any damage. If you notice any of the individual teeth that are sticking out, it may be time to grab and use a pair of locking pliers. Remember to use the locking pliers in the locked position. When closing on the zipper slider, use the screw adjustment. Be careful when clamping the zipper slider. Make sure that you do not clamp the zipper fabric or zipper pulls. Remove the pliers and slightly tighten the screw adjustment. A 1/8th or 1/16th of a turn would be enough. Remember to apply the slightest pressure possible to both sides of your zipper slipper when re-applying it. Place the locking pliers again to its right position on the zipper slider and clamp down the locking mechanism. This time, you need to make sure that the locking pliers lock slightly as you clamp down. On both sides, clamp the zipper slider using the same setting before you change anything. You may need to do a few tries using successively tighter settings on your locking pliers, but rest assured that your tent zipper will zip properly again. If the slider is broken, it may totally get worn out that it can not anymore serve its function. When this thing happens, you may need to have a new slider to fix your tent zipper. The first thing that you need to do is grab your tent and locate the zipper that is broken. Using your pair of pliers, remove the zipper stops. Pull down the zipper slider to detach it from the zipper. Pull it to the point where it starts. Next, you will have to put the top at the top and bottom. Using your pliers, crimp the bottom and top stop. To make sure that it works fine, slide the zipper up and down. Lastly, apply some glue on the zipper's bottom. To have a clearer picture on how to do this procedure of replacing the zipper slider, please see the video below for another useful audio-visual presentation. The quality of zippers is one of the things you have to take into account when buying your outdoor shelter. This consideration is important because even affordable tents need not compromise the overall quality of tents including the zippers. 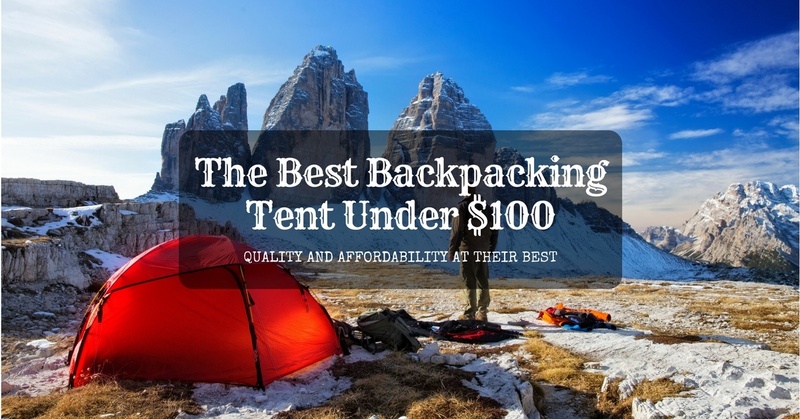 When we were finding for the best backpacking tent, it is one of the crucial factors we carefully analyze before making a purchase. If you want to see how this process of installing or replacing actually works, I have prepared another great video below. Like any other materials, the zippers of your tent will surely wear out; however, there are measures that you can do to prolong its life. Here are some quick tips that will not surely prevent your zipper from early damage. 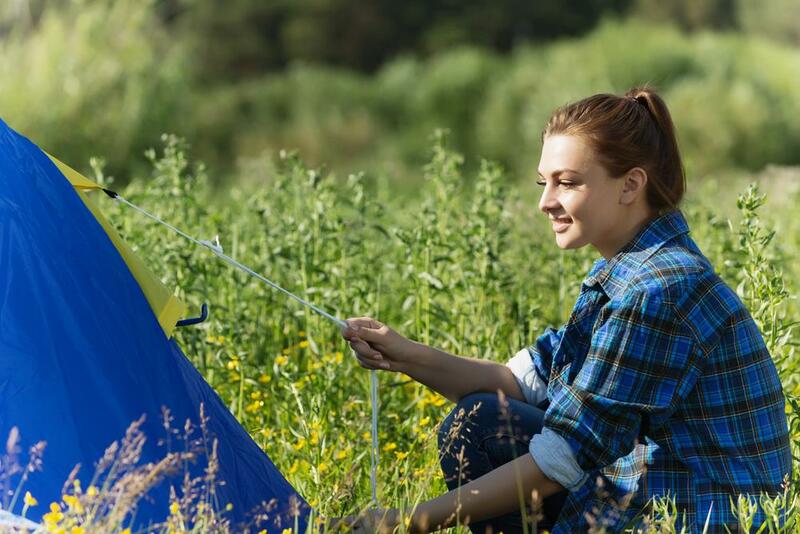 Many tents utilize durable zippers; however, this fact should not be a reason to exhaust them. When you over stuff your tent, you add weight on its zippers, especially when you are closing your tent. Never apply force to a zipper that is stuck. Instead, hold the zipper's track using your one hand and back the slider up. Free the stuck textile by squirming the zipper from one side to the other. Back the zipper up if in case it splits off. Do this procedure gently until it re-locks in. If the zipper persistently splits, use a pair of pliers to press the zipper slider, so it gives a tighter hold on the zipper's track. You need to do this step again with gentleness. What you want is a slider that shuts securely and thoroughly the zipper, but is not over tighten. The same rule applies when a material causes the zipper to be stuck. Try not to apply too much force to it, and do not apply too much force to it. Like cars, fishing reels, or any other devices, your tent zipper will less likely live longer if it does not receive proper maintenance especially when it continuously accumulates dirt and grit between its zippers. Dusty surroundings can pose even more dirt. Regularly cleaning your tent zipper may be a small work that makes a big difference. Clean the zippers of your tent with water and soap. You can also use a washcloth to remove the dirt. Apply more force at the stubborn or messy spots. Remove all impurities that accumulate into the teeth which may impede the free movement of your zipper. The last step in cleaning your zippers and tent is drying them after washing. Sea salt can be one of the destructive elements to your tent zippers, so make sure that you do the cleaning after your tent gets near to the sea. Use cool and fresh water when rinsing your tent zippers. A quick rinse and dry can also prevent your tent from incurring any damage that air or salty water may cause. This tip is one of most effective ways of prolonging the lifespan of your tent zipper. 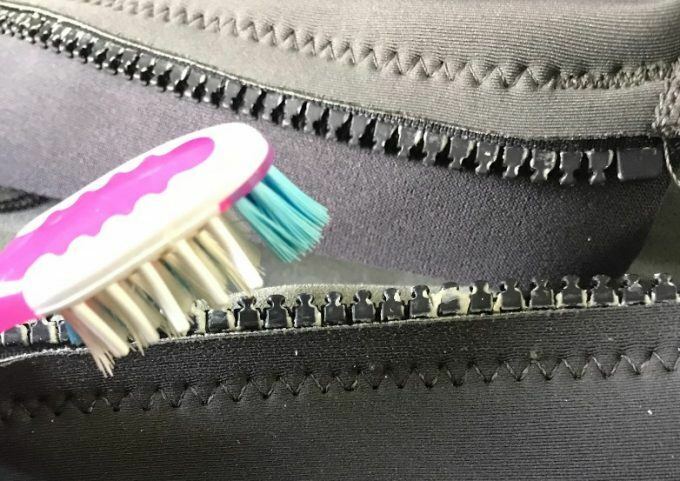 Zippers also deserve to have healthy teeth and body, so go an extra mile in taking care of it by applying a dry grease on zipper tracks and post ends. While applying lubricant is generally helpful, it is also important to take the type of lubricant into account if you decide to use one. 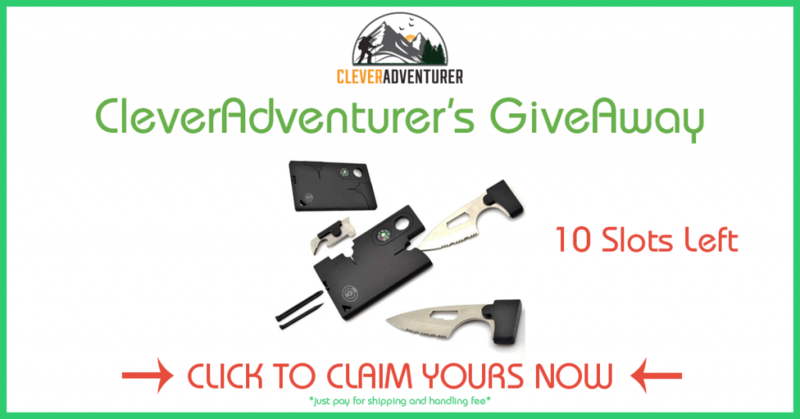 Manufacturers have come up with several products which they design specifically for outdoor gears, and these items are what typically works best for your tent zippers. 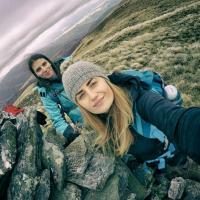 Some campers, hikers, and backpackers do not recommend the use of wax as this lubricant may cause dirt to get stuck in the zipper while scented wax has the tendency to attract bugs and other insects. 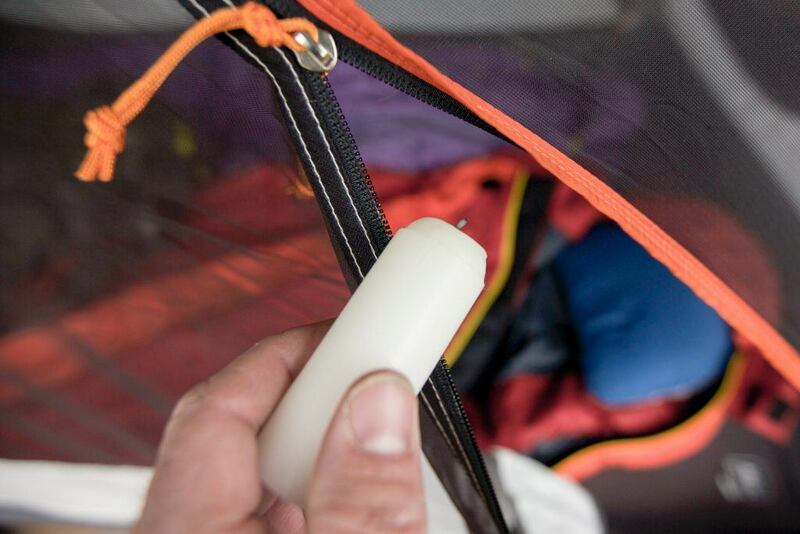 Greasing your tent zippers up is a great way to protect your gears. Greasing up the tent zippers is one effective way to keep them running. Also, before applying any lubricant, make sure you have cleaned the zipper because you want to avoid trapping any dirt in your tent zipper. 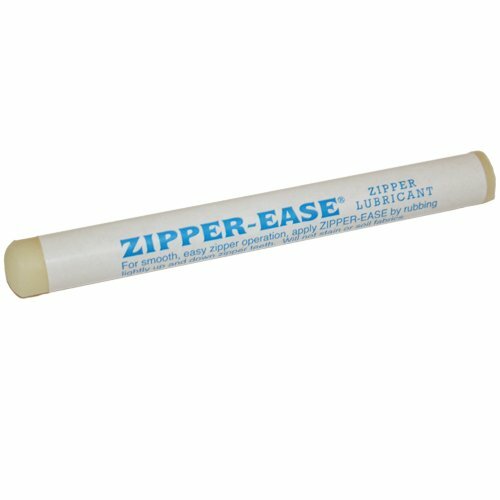 You may have also come across various zipper lubricant products. You may use pastels or powdered graphite. Others use beeswax which they can soften using a hairdryer or a heat gun to make it quick-to-apply. Some prefer using Teflon-Silicone Lubricant which allows easy handling of the tent zipper. 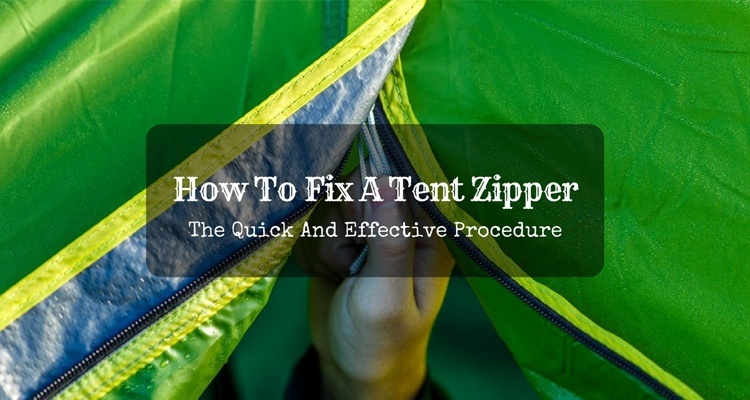 There are a lot of methods to repair your tent zippers. You also have the option to seek a professional retail service that knows how to fix the zippers of your tent. I recommend that you take care of your tent so that there will be no option for you to purchase a new one. The zipper is the always problem of outdoor enthusiast with their tents. Once you master the procedure that I discussed in this tutorial, I can guarantee you that the zippers of your tent will last for a long time. Your camping tools are very valuable in your outdoor activities so do not allow anything to ruin them. The steps I presented above is pretty much simple, just be careful when executing them. If you have other helpful tips on how to fix a tent zipper, please feel free to share your ideas below. You can also share this writing piece with your friends. 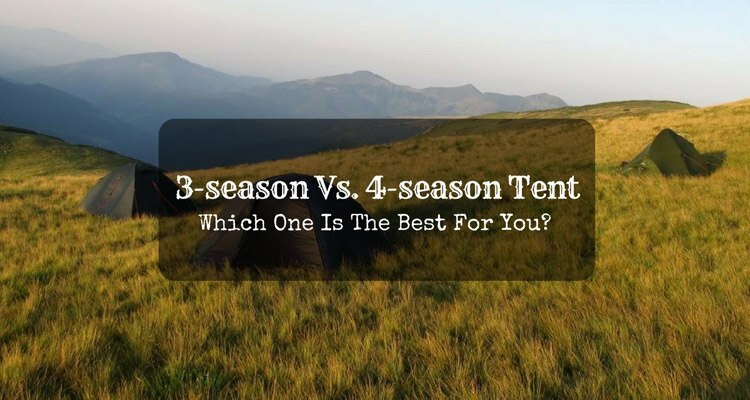 3-season Vs. 4-season Tent: Which One Is The Best For You?